Indiegenius is a range of textile based accessories made from recycled, upcycled material and using traditional Indian craft techniques. Watch as rich and vibrant fabrics are re-born with contemporary, stylish cuts. Clean Planet Indiegenius presents a contemporary exquisite pouch. 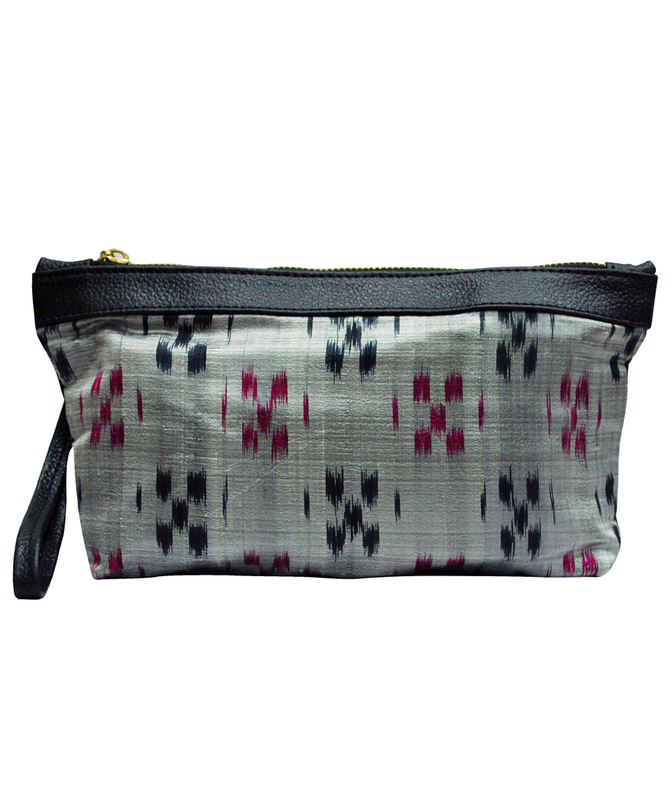 Made from up-cycled traditional Indian Ikat silk sarees and accentuated with leather, this pouch will add a touch of eco luxury to your ensemble. Look effortlessly chic while being an eco-conscious fashionista. At Clean Planet, we are constantly innovating to reach a goal of zero-waste. The accessory range-Indiegenius, is a result of these efforts. Recycling and upcycling fabrics as compared to the use of virgin fabrics, saves on resources and energy which benefits the environment to a great extent. Watch as rich and vibrant fabrics are re-born with contemporary, stylish cuts.